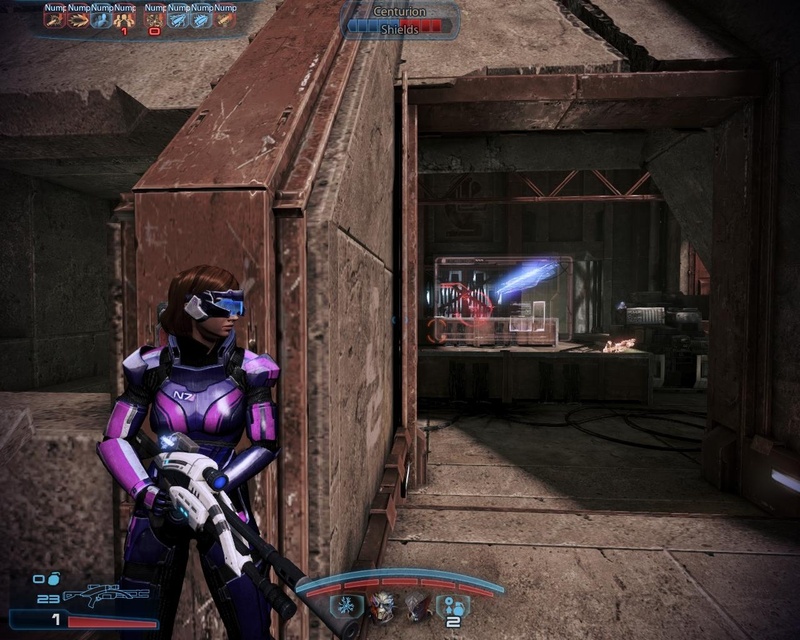 ME3 is somehow… sharper than its prequels. Both previous entries in the trilogy suffered heavily from sluggish movement, even though both stood at opposite mechanical extremes. ME1 was an action-RPG with far more equipment than was entirely meaningful, while ME2 tried its best to turn into an action game with focused weapons and abilities but forgot to actually follow through on it. ME1 was annoyingly floaty and lacking in impact, while ME2 had very little substance under the bonnet (or it did its best to hide any substance that might have been present). Mass Effect 3 finally, thank goodness, gets the balance right. I also finally managed to make my Shepard not look a bit wonky. Still wish the Normandy had a plastic surgery bay so I could tweak after, y’know, seeing my character’s face from other angles and in other lighting. Call me vain. It’s immediately noticeable, too. As soon as you gain control, the normal movement speed actually feels quite nippy, while sprinting doesn’t slow time anymore, nor is it limited to a short burst. Even the camera movement feels less dampened. On top of the basics, we also get a whole slew of much needed extra movement options, like the glorious dive-roll — which can be done to quickly get between cover or just normally when you’re running around because dive-rolling has always been the best thing ever. Being able to just slide over cover and hop up ledges, rather than having to crouch behind them and then vault over, again makes the whole experience of navigating the battlefield a lot more pleasant… And makes you less prone to being caught in the open and mulched. Layer snappy loading times and much better autosaving on top and you’ve got third time lucky — a game whose fundamental element, combat, is actually pretty solid fun. I suppose the interesting part of all this is that the minigames have completely disappeared. I think this is probably more correlation than causation, but it is curious that the sloughing off of hacking and scanning has come at the same time as combat getting refined to something approaching perfection. Well, okay, not all the minigames are gone. 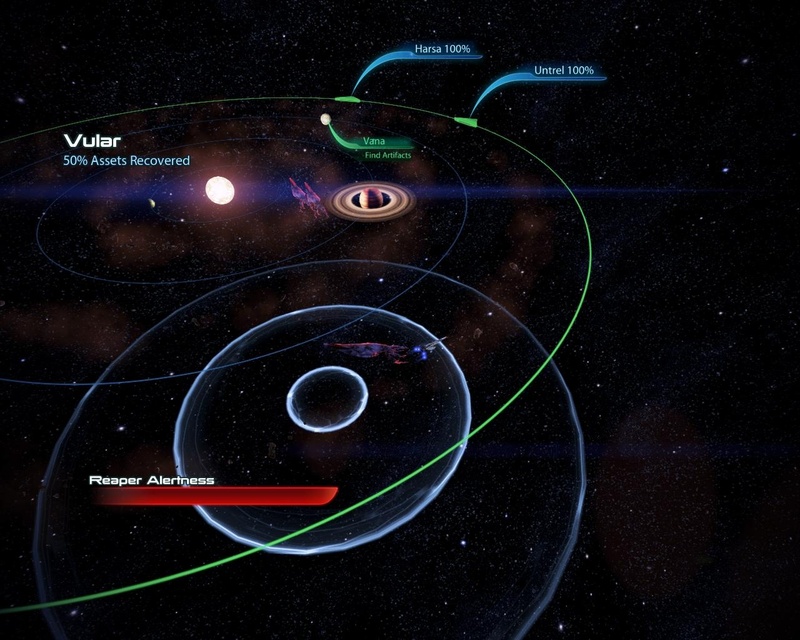 Driving around the galaxy is still present, and scanning for minerals has been co-opted into a level selection mechanism for the main plot instances where several missions are present on a single planet. Then again, they existed from ME2, so no new minigames have been developed. Gosh, I think I just undermined my own point. Let’s move on. It’s not just in the movement, of course. The pendulum has swung somewhere half-way between ME1 and ME2 for the skills too, offering a few more abilities and passive skill tracks for the Shepard and the companions — but not so many that they’re overwhelming. Likewise, the skill tracks are a little bit longer but not too much longer — you do, after all, start the game at level 30 and are shooting for 60 by the time you hit the endgame, so an imported save starts with a lot of points laid down. That means a lot of abilities start in comfortably powerful territory. It’s unfortunate that you still can’t dress your companions the same way you can dress yourself, but since they can spring back up from death with a few key-presses I guess you don’t really need to fine-tune their stats. I should hate the omni-blade but I have always been a sucker for glowing swords. It works for equipment, too! 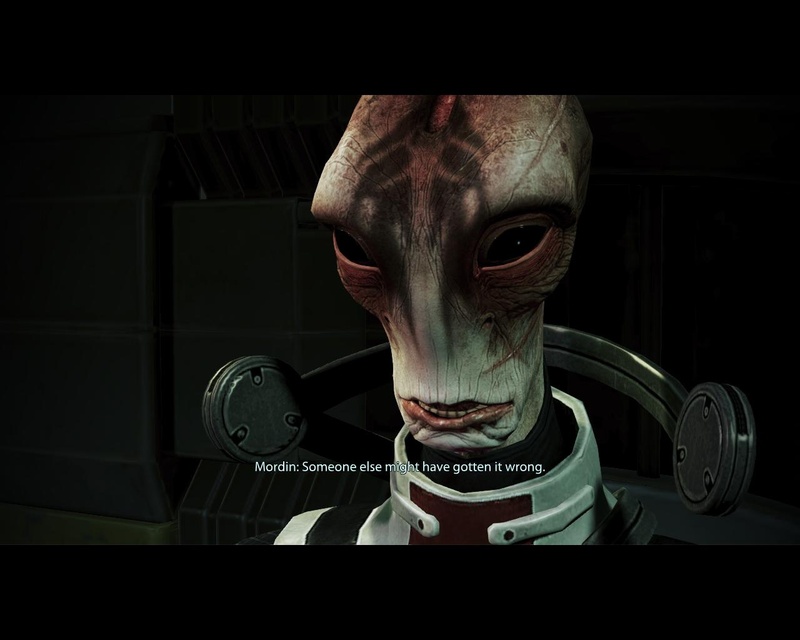 While ME1 lathered on faceless variations with minor differences in dispassionate numbers and billions of incrementally improved mods, ME2 had distinct firing modes but only two or three choices for each weapon and no fine-tuning at all. Well, maybe you could buy more through DLC, but real money is reserved for actual content, not horse armour. 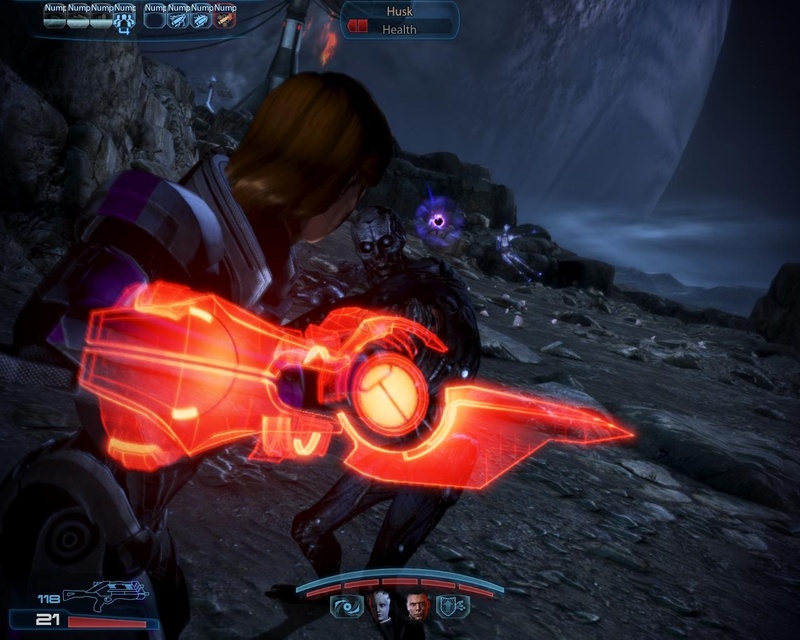 In fact, I get the impression that a lot of weapons and armour here in ME3 were actually purchasable in DLC packs for ME2 that got promoted. This might be the right decision in the long run, but it left vanilla ME2 feeling a bit anemic on that front. Either way, the mix of mods and upgrades means you can buff out your favourite guns and advance in noticeable chunks as you go, or change to something completely different once you get a bit fed up. Mods like scopes and extended barrels even show up on the weapon models! I’m not sure what dressing Shepard up like some kind of Power Ranger says about me. I’m not so sure about heavy weapons, though, in the sense that they no longer exist except as situational pickups. Then again, I always carried the same Collector Particle Rifle around because it was the only reliably good weapon — basically an assault rifle with more kick. Now that I’ve got an actual choice of assault rifles that feel appropriately chunky, it’s less important. I guess it’s a level design thing. If you can’t cart around a nuke just waiting to completely sidestep a fight with a ridiculous enemy assassin (or waste it on some incidental gang of nobodies), then there’s no risk of throwing the suspension of disbelief off track when the anti-hero with the stupid mask shrugs it off. On the other hand, leave one lying around near a boss fight and you’ve got a convenient way to bring in the spectacle of a massive battle without the endless hours of bug-biting from small-arms fire. Don’t mech me come out there and stomp all over you. Oh, all right, a few words about the plot. 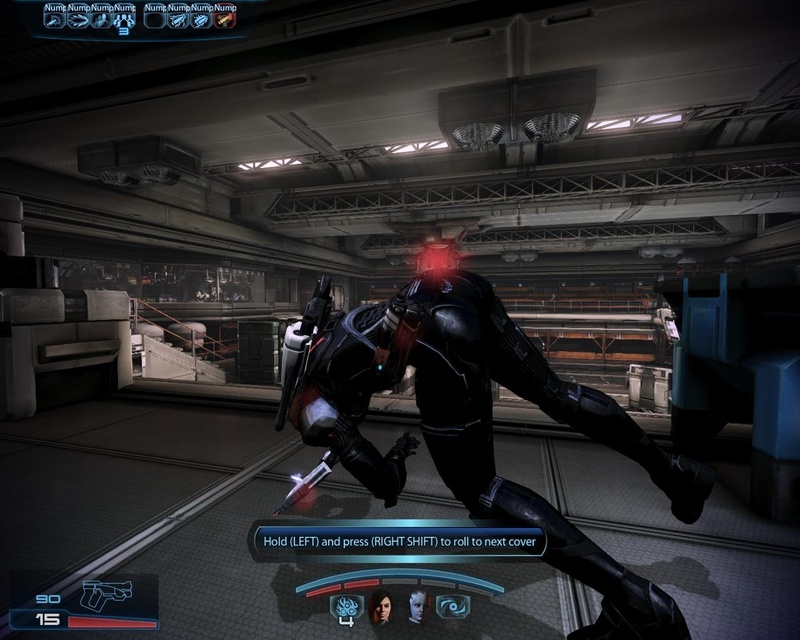 The thing that gets me about Mass Effect 3 is that it is simultaneously bonkers and overly serious. 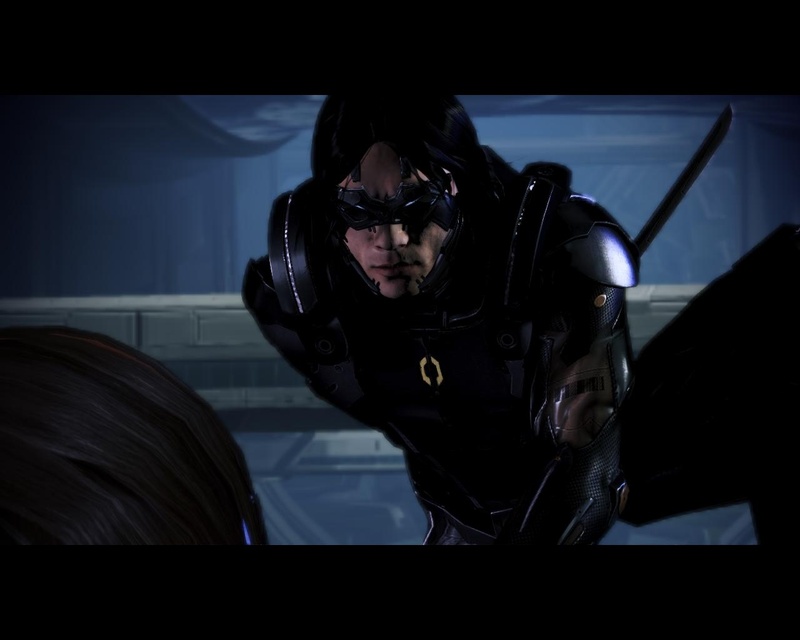 The Mass Effect trilogy has never before been about Shepard grappling with his or her death count, but s/he lets one child disappear into the air vents in the intro and suddenly we’re subjected to awful dream sequences after every major chapter. 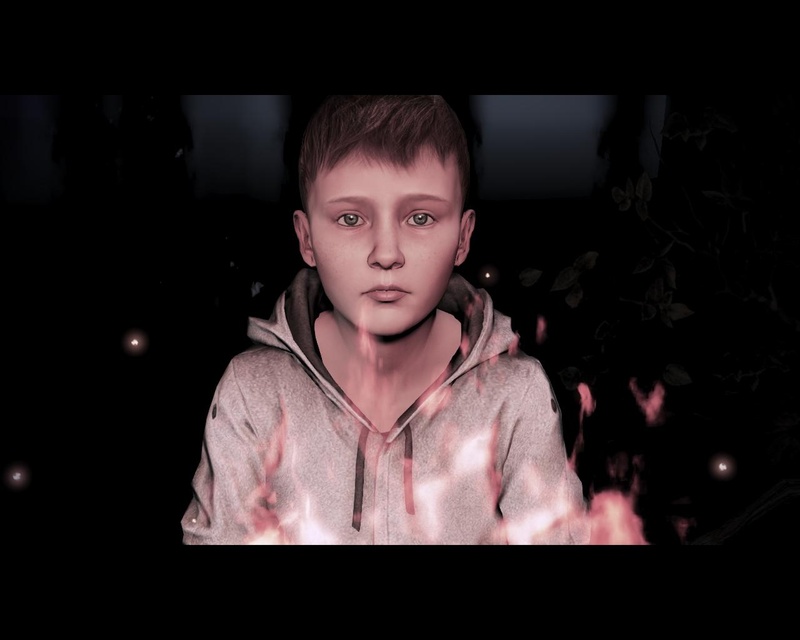 What’s worse is that other parts of the war are handled very subtly; like the teenage refugee who spends the whole game waiting for her parents to arrive. “It’s okay, they promised me they’d be on the next shuttle” — it’s small and faintly heartbreaking, but it’s far more effective and less… crass than the dream sequences. There are other similar moments scattered around, so somebody on the writing team had their head screwed on right. Some other author might have… gotten it– oh. I see here that they did. On the flip side, the bonkers elements come in with the likes of EDI becoming a fembot (complete with monstrous breasts) and the laughable ninja assassin Kai Leng. The original Mass Effect was a pretty hard sci-fi, or at least, one not as soft as the likes of Star Wars. 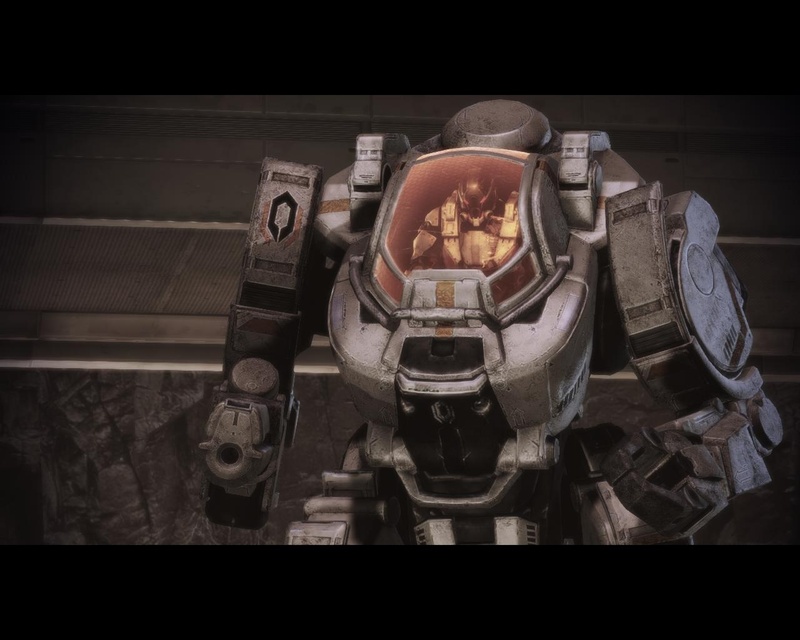 The codex described scientific advancements and in-universe rules in great detail, only for it to go a bit haywire for Mass Effect 2 when we decided to slough off constraints in favour of whatever was most grimdark and cool. Now, for ME3, we just don’t care anymore. I’m not going to call it out for this; it’s more the shift that’s annoying than the end result. If the franchise was always bonkers, great — but if you start hard, there’s a certain need to stay hard or your foundations melt away, leaving you with nothing. If you can’t tell a story within your constraints, consider telling it somewhere else rather than raining all over last year’s parade. It’s still good, though. I can’t hate it. Mechanically, and visually, it blows its predecessors out of the water. Combt spaces are sprawling with alternative paths that finally make flanking an effective strategy, while set-pieces are bigger and more bombastic than ever. It’s too easy to say “shame about the ending”, but they actually lost the plot after the first game — this is just the logical conclusion of not originally planning for a trilogy. If you’ve been sidetracked anyway, why not just give up and add ninja assassins and fembots and all the fun stuff? No reason not to, anymore. Luckily, there are still some DLC packs to check out now. Can the plot save itself or are we going to go all the way…? This entry was posted in Gaming and tagged action, Cover shooter, games, gaming, Mass Effect, Mass Effect 3, RPG, Shepard by Rao Dao Zao. Bookmark the permalink.